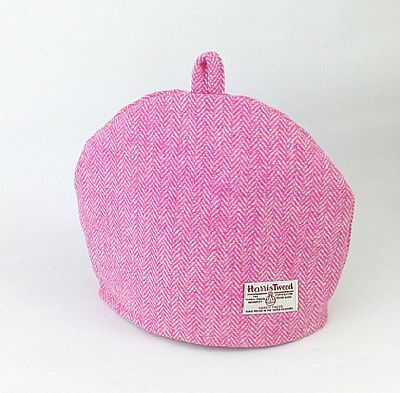 This stunning Harris tweed tea cosy is a must for all those ladies who love pink! It is bright and cheerful in your kitchen, and keeps your tea warm too. 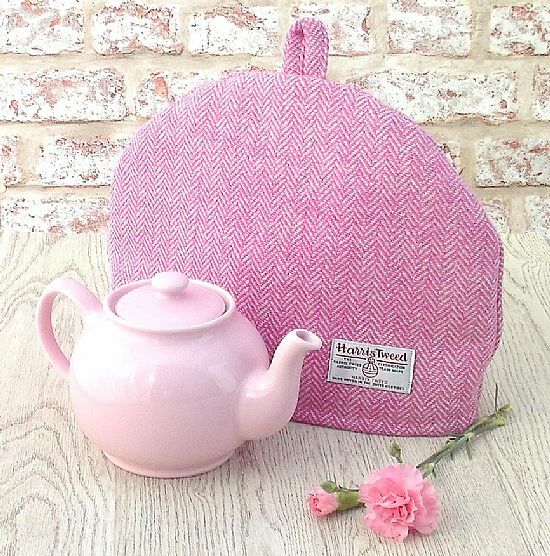 This beautiful quality cosy has been handmade from the world renowned Harris Tweed handwoven wool fabric in a gorgeous pink and cream herringbone design. It is lined in white cotton fabric, and wadded with polyester. The Orb label, your guarantee of authentic Harris Tweed fabric is proudly displayed. This tea cosy is to fit a medium (4-6 cup) teapot. It measures 33cm (13ins) across the base, and 26cm (10ins) top to bottom. If your teapot is a different size please contact me for a custom order.